The Voice UK is back for a new season. Now coming for its Season 4, the franchise welcomes us with a new coach in the name of Rita Ora. I had high expectations with this season because last season, we saw in particular pretty stellar casts. The artists were terrific. During the blinds for the season, it showed a lot of promise from individual to duos that showcased a potential that I was ecstatic about. But then, this franchise of the show just had the worst format. I mean, the mass elimination, the weird three week live shows and a bored Will.I.Am in the panel. Haha. Nonetheless, even if I don’t totally agree with most of the coaches’ choices during the Battles and Blinds and how they didn’t maximize the power they had, I still think we saw some terrific performances this season. 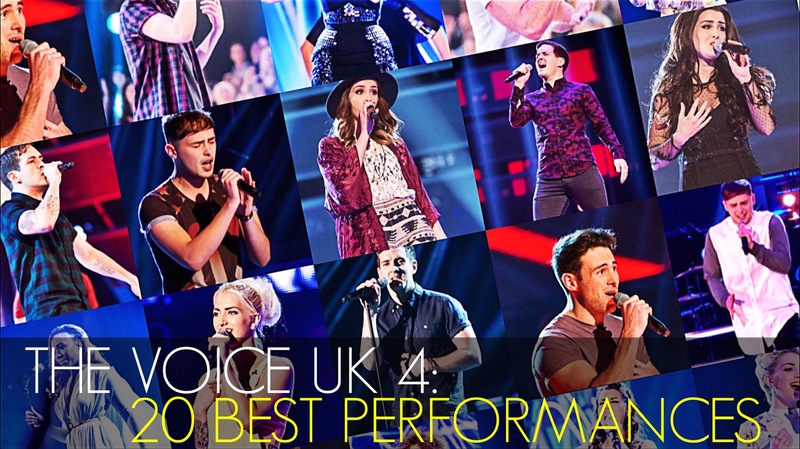 So with no further adieu, here are the TOP 20 PERFORMANCES of The Voice UK Season 4. – I still don’t know how Will chose Jake over Stephen. But this performance completely sold me from the good verses and fantastic chorus. Of course, Stephen completely stole the battle towards the end and he has better pitch than Jake. Watch it here. – It was a simple delivery but the grit on her tone made the audition backed up with texture and color. Her vocals were gorgeous and the pitch was nice. Watch it here. – The stripped down version was a brave idea especially after a series of bombast auditions. But Stephen sang the goodness out of the song and made his voice frot and center. Watch it here. – At first, I thought this will be completely Karaoke but the fun side of twins singing it, harmonizing when needed and singing the song on pitch is a lovely, welcoming surprise. Watch it here. – If I am not mistaken, this is an arrangement by PMJ. Mitch has a playful side that completely suit the song and the arrangement made his standout. It was bold, fun and pleasant. Watch it here. – It worked because there are two powerful divas who didn’t backed down on the challenge and manage to completely outsang each other in a good way. They both held themselves together and the vocals was just a sheer entertaining vocal match. Watch it here. – Howard to me is an unpredictable artist. But I like him. I was caught off guard when he sang “Proud Mary” during the Knockouts but I liked that, and then he went back caressing every verses of “Read my mind” but still managing to put the Howard stamp on it. Really good! Watch it here. – Despite the nerves, those imperfections in his vocals actually made this performance compelling. It sounded beautiful. He kept the verses cool and he didn’t do the falsettos on chorus but bravely sang it in his reach. This was a solid performance. Watch it here. – Hauntingly beautiful! The vocals sounded creepy but in a good way. And as she soar during the chorus with how her voice melts like butter, I was blown away. Watch it here. – There’s so much personality in here that we haven’t saw from her in the past weeks. Her voice sounded amazing with the track and she managed to keep it lively with her vocal choices. Plus, she sang the song spot on, performance quality! Watch it here. – I loved this! It was simple song for a big voice like Christina but with some tweaks and turns, her vocal choices sounded terrific! It was a solid performance from her. Watch it here. – It was a great moment for Joe to have restraint and show to the audience that he can really sing. To take this Labyrinth track is scary but he took the challenge and even if the vocals weren’t perfect, he still sound pretty great! Watch it here. – I was blown away. The song suited him. The arrangement work for him. The vocals sounded amazing. It had dynamics and climax that when he started reaching that, I was like “Nailed it!”. Howard captured the essence of the song in his own way. Goodness! Watch it here. – Feisty, slick and entertaining. Who knew Sasha could deliver such. She commanded the stage well and even if her voice falter in some parts, I didn’t mind. It was still a pretty good performance. Watch it here. – This was right in Stevie’s alley. It was perfectly made for him and this reminded us what we fell in love with him during his audition. The vocals were gorgeous. The phrasing is spot on. Great stuff. Watch it here. – At paper, the mash-up looked like a bad idea but Sheena made it work. The transition from Glow to Princess of China is so fluid you would think this is just one song. The vocals were terrific and the way she commanded the stage made her look like a guest than an artist competing. Watch it here. – Great stage presence. Right song. Fantastic delivery. Soaring vocals. Sheena was robbed of a finale slot! Watch it here. – Sasha showed restrained and make a remarkable point that she can sing. She nailed this performance with elegance and fantastic vocal choices. Watch it here. – Joe’s weird stage hand movements looked more charming than awkward. It added personality in him that complimented his wonderful vocal performance. He was able to completely keep with the melody and rhythm and sing the song spot on. Watch it here. – From the moment Stevie opened his mouth until the last note he sang, Stevie was able to capture. There’s a quiet passion in his delivery that soared together with his almost flawless vocals. It was a lovely interpretation with so much ease and confidence. Watch it here. 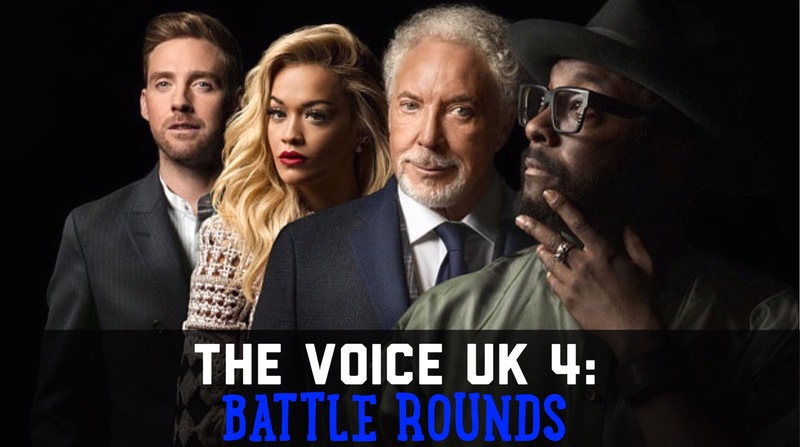 It is the last week of the voice UK season 4. It’s the climax and the concluding ceremony to be specific. I just didn’t think that the short time of voting actually reflects who the public wants as the winner. Although, I predicted the right one and I personally think he deserves the crown — no contest at all and the live finals performances showed how the winner is simply the frontrunner all along. By the way, originala and former coach Danny is back with his band, The Script, for a special performance of their newest single. Also, we had performances from Rita Ora, Paloma Faith and Charles Hamilton. Without further here how I ranked the performances per round and what were the results. Enjoy! STEVIE McCRORIE wins The Voice UK Season 4! I am not sure if the voting format really works as I feel like minutes after all performances were the time range for the voting public to vote is a little flawed. But then what do I know, right? Tonight, 8 artists are going to be trimmed into 4 as the semi-finalists will perform for the public’s votes. The Top 4 vote getter will advance to next week’s live finals. Now let’s see how the night went.. This is the start of the live shows and it is the quarter finals! Yup, that early because well the format of this franchise is a little ridiculous. Haha. For tonight, all twelve (12) artists will perform and because they thought it was in the artists’ best interest to let the coaches have so much power up to this round, four (4) of them will get a free pass to the semi-finals next week. Yup, each coach will choose 1 artist from their team that they will send to next week’s live shows for free! Haha. As for the remaining eight (8) artists, the public will vote and the lowest four (4) regarding of what team they belong to will be eliminated. So basically, 1-2 teams might have 1 artist left for next week if that will be the case. Anyway, this is a pretty strong night of performances with some off people and some who surprisingly rose to the occasion. Let us rank them all..
Ricky’s team is a battle of falsettos while Tom’s team is shaping to be a strong contender for a title. This episode and set of artists performed way better than last night. I mean, I enjoyed a lot of these performances despite some pitch issues here and there. Also, Ricky and Tom did have a pool of strong artists to choose from that I can’t really fault them for ending up with probably 2/3 of their team as strong contenders. Now let us see how the night went and who the coaches chose to represent their team. Aside from the fact that it is a flawed format in terms of number of artists to advance this round, I just don’t see the point of each coach getting two (2) steals then in the Knockouts Round, out of 8 artists, they will only choose three (3)? OMG!! It’s like Hunger Games in singing competition right now. Prior to this point, I personally thought Will had a very strong team with a couple of cannon fodders that he used to advance those who I think had tons of potentials and will do well. But damn, his decisions tonight left me.. speechless! Rita had a tough night too and I must say, I didn’t also agree with her choices. But what do I know? Now onto the knockouts round (I really think the US Franchise should reconsider doing this format) and rank the artists and find out who made it. Look at that, this is how fast this franchise is. Haha. And what I love about it is that there are no montages, I mean last week we saw all 12 battles and now this week, we will witness the other half. 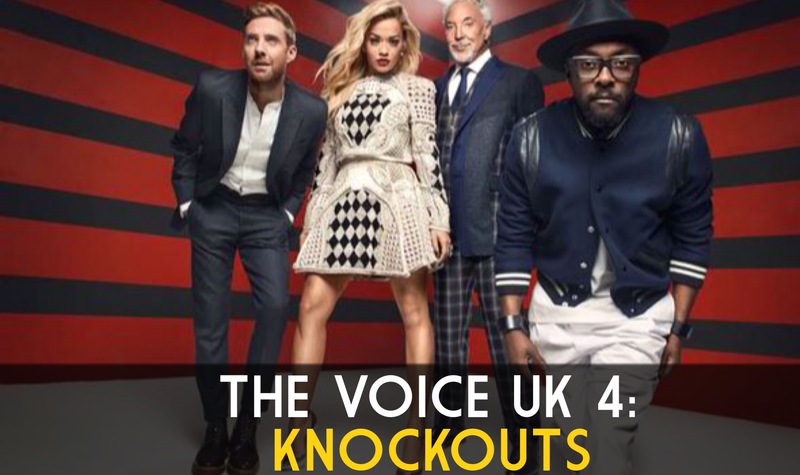 At the end of the episode, all slots are filled – including the 2 (meh) steals – of each coaches and we head on to the Knockouts Round. This episode is a little indifferent for me. The ridiculous use of steals by the coaches (seriously? ), their questionable winners of the respective battles (at least for some) and well I liked most of the song choices in the battles. Anyway, here is how night 2 of the battles transpire.